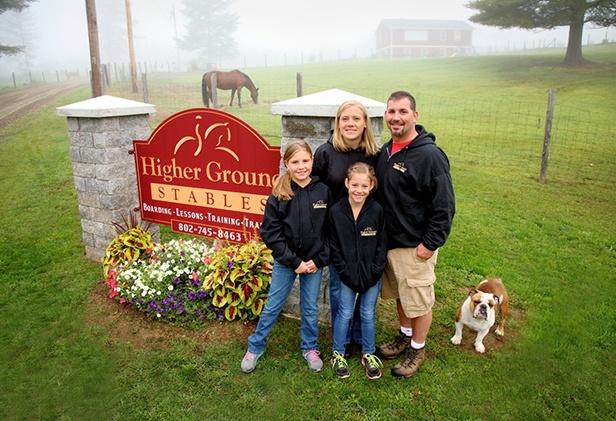 A $341,000 VACC loan helped Dan and Kristal Renaudette consolidate debt and strengthen their growing equine business, Higher Ground Boarding Stables in Lyndonville. 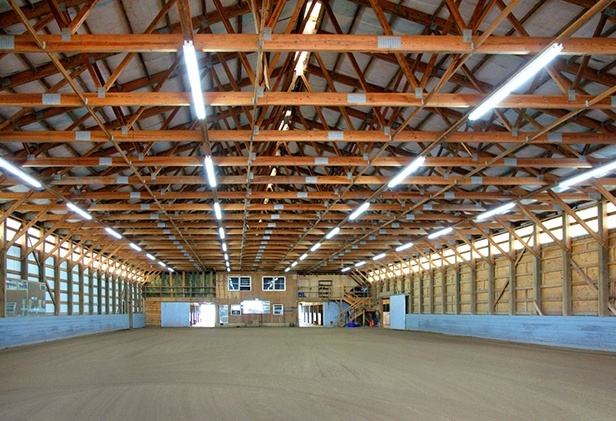 Purchased in 2007, the Higher Ground Boarding Stables has a 33-stall barn with an indoor riding arena, heated viewing room, three tack rooms, an outdoor riding ring and outdoor paddocks. The Renaudettes have six horses of their own, and have 27 stalls available for lease. Winter is the stables’ busy season, with all the stalls rented last winter and a waiting list of people wanting to board their horses there. 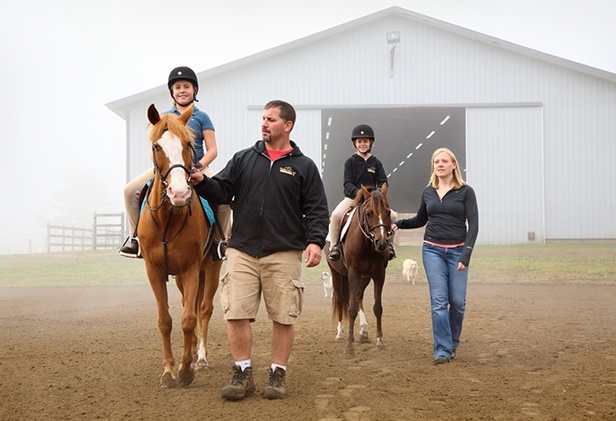 Kristal works full-time as a nurse at Dartmouth, and Dan works full-time at the stables. Since the summer months have fewer boarded horses at the stables, Dan has diversified his skillset to provide equine dentistry; he also does some bovine embryo implantation. 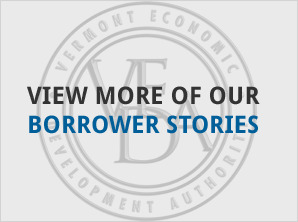 Higher Ground works to increase summer business by taking in short-term boarders. 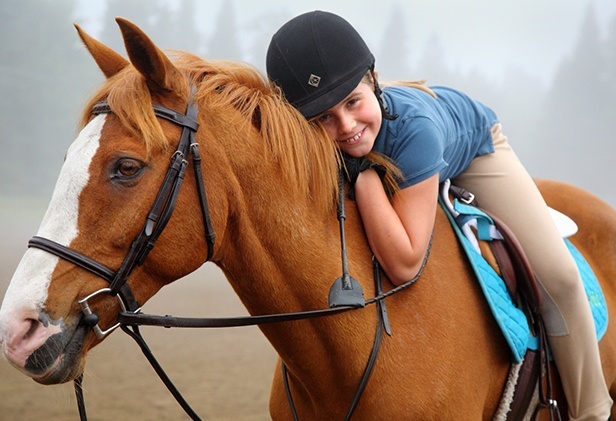 Also, with the 2013 completion of their large 2.5-acre outdoor riding arena, the Renaudettes hope to increase summer use of the Higher Ground facilities by people trucking in horses for the day to ride.